Sixteen innings is a lot of based ball. 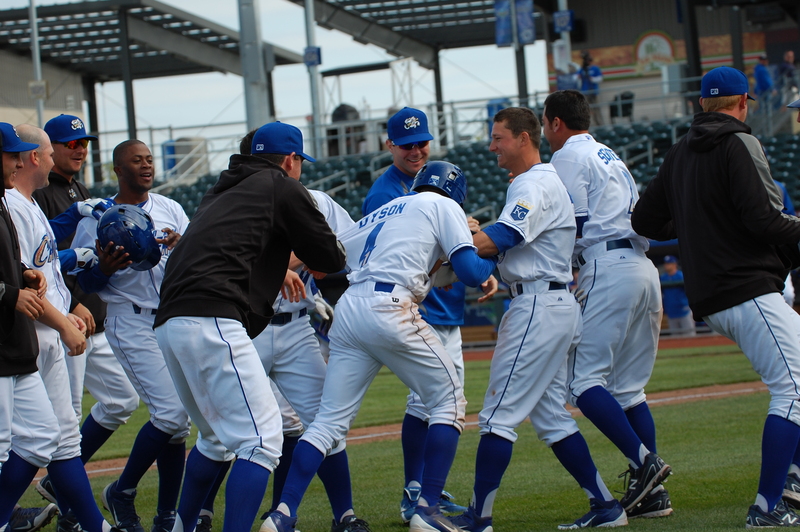 The Omaha Storm Chasers exhausted their bullpen and emptied their bench to pull it off, but finally beat Round Rock 9-8. Jarrod Dyson (4) gets mobbed by his teammates after a 16th-inning triple gave the Chasers a 9-8 win. 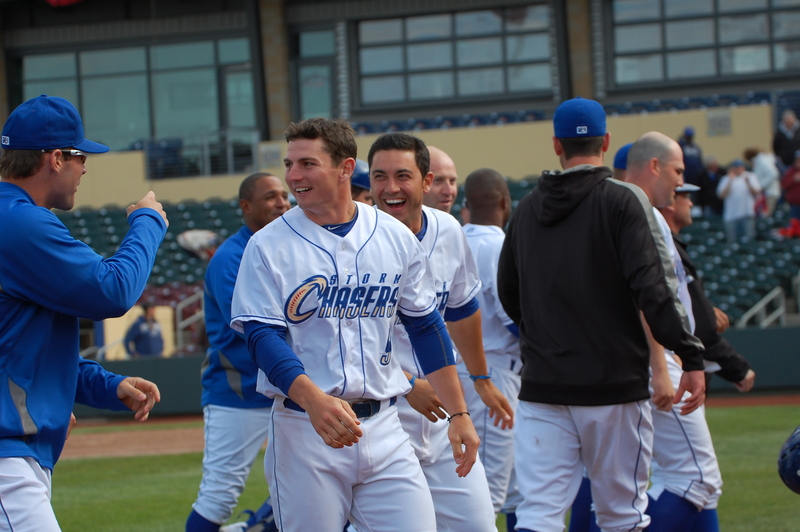 Johnny Giavotella and Anthony Seratelli celebrating in a very smiley fashion. A lot of a lot. Mostly bad news.